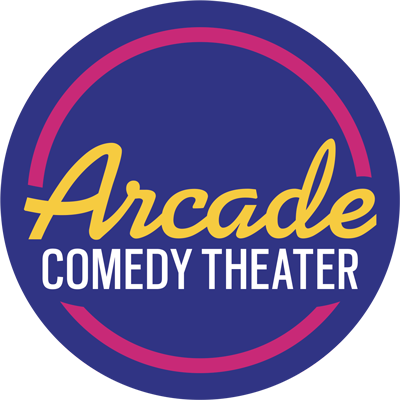 Generally, ticket prices for shows at Arcade Comedy Theater range between $7 — $20, and are available through ShowClix and at our box office the day of the show. Tickets are non-refundable and we don’t offer rainchecks — but they are transferrable. If you’re not able to make a show, you can always feel free to give them to a friend. All seats are general admission. Buying a ticket in advance guarantees you a seat up until the start of the show. If you’re not present at the time the show begins, your seat may be re-sold to someone on our waitlist. We will do our best to accommodate late seating, but your party may need to split up to fill in individual seats. In the occasion that the show is completely sold out, we will be happy to swap your tickets for a different performance of the same price. To learn more about our advance tickets, read all about it at the bottom of our events page. For most shows, Arcade Comedy Theater offers students a reduced ticket price with valid ID (this includes college, technical school, high school, and military ID). 15 minutes before showtime, we will allow students to line up and buy first-come-first-serve tickets at $7. All students need to bring a current, valid ID, and seating will be limited based on availability. Restrictions may apply for specific shows. Student Rush tickets are only available at the box office, and can’t be reserved online or in advance of the show. Always feel free to call the theater, or tweet @arcadecomedy, to inquire about if a show is going to sell out. Generally, most shows at Arcade Comedy Theater are recommended for ages 16 & up unless otherwise stated. We don’t card anyone to see if they’re 16, but instead we’d just recommend you don’t bring a wild and crazy 7-year old to a stand-up comedy show. There are shows, however, specifically labelled “all ages” and “21+”. Those ones are pretty self-explanatory. You can always call us at 412-339-0608 and ask about the age restrictions for any show. The Arcade is accessible for guests in wheelchairs or walkers, with flexible seating in both our first and second floor theaters, men and women’s handicap accessible restrooms located on the basement level, and an elevator that connects all three levels. Arrangements can be made at the box office for any guest, or by emailing our Accessibility Coordinator by emailing Jethro Nolen (jnolenATarcadecomedytheater.com) or by calling our voicemail line (412-339-0608) and leaving a message. There is street parking available on Liberty Avenue, and in the blocks around the theater, that is free after 6pm. There’s also a convenient parking garage a block from Arcade: The Smithfield & Liberty garage (right next to SPACE Gallery) is just $6 for the night. Arcade Comedy Theater allows audience members over the age of 21 to bring their own six-pack or bottle of wine to a show! There is a corkage fee of $5/person, which includes cups, openers and wristbands. There are a handful of bars within walking distance of Arcade that sell carry-out beer, including the Sharp Edge Bistro and Sammy’s Corned Beef. You’re also allowed to bring a small cooler for your beer — as long as it can fit under your seat. The only thing we don’t allow is hard liquor. No one wants to have a sloppy, drunk audience, especially one that’s trying to make a mojito in the back row during an improv set. Read more about our BYOB policy.